Are supplemental vitamins and minerals necessary. This question has been debated for some time. In the real world, we don't always eat the best foods. Junk foods are common. When we come home from a hard day at work, there isn't always a meal there. Even women are saying today, "What I need is a wife." The pressures of today's world are not limited to men. Most women work, as it takes two jobs in a family to keep up. And I find even though I am retired and married, more and more I resort to a "quick snack" at night - I just don't feel like cooking, and neither does my wife. So I think it's fair to say that most of us are not getting proper nutrients in our diet. Notice I said proper, and not sufficient. Many people get too many junk calories in fast food and snacks. Back to the original question - should I take vitamins? "Supplementation of antioxidant vitamins and minerals may exert beneficial cardiometabolic effects, among men. A long-term study reaffirms the effects of antioxidants for health and aging. 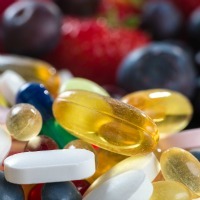 Karen Assmann, from Universite Paris (France), and colleagues analyzed data collected on 3,726 men and women enrolled in the Supplementation with Antioxidant Vitamins and Minerals Study, which tracked participants for Metabolic Syndrome both at the study’s start and after 13 years of follow-up. Subjects self-reported dietary habits and medication use over the study period, while the researchers measured blood pressure, glycemic markers, cholesterol, triglycerides, and waist circumference). Among men, antioxidant supplementation associated with a higher probability of “healthy aging” – characterized by better scores of cardiovascular and metabolic measures." In my opinion, vitamin supplementation is a good idea, and I personally take supplements. The essentials are a good multivitamin with minerals, and CoEnzyme Q10, along with a low-dose Aspirin over 40. I also add Melatonin at night, which is not only good for sleep but a potent anti-oxidant.